The TEDxHunterCCS day-long gathering for dynamic talks, performances and video presentations on Oct. 5 attracted 280 attendees and 322 people who viewed the sessions online via live-stream, some returning more than once during the day. Photos and videos of the event have now been published online; to see videos and read more about the event, including the full program and presenters, please click on this link. To read the Hilites article, click here. Also check out the photos of the event here. 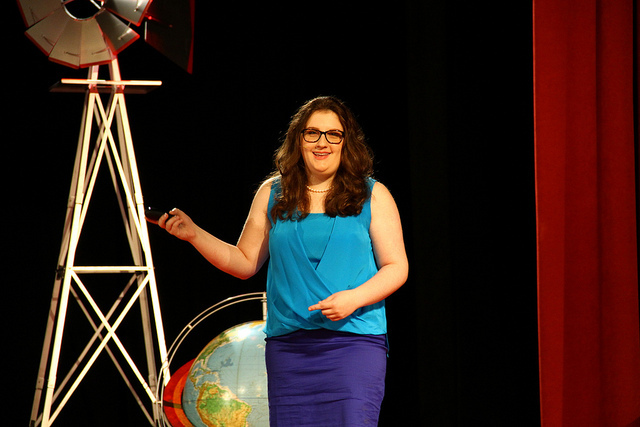 The TEDx event took Hunter's motto as its theme, "Mihi Cura Futuri: The Care of the Future is Mine." Faculty member and alum Steve Young (HCHS ’86) and Hunter parent Sari Chang hosted the event, which was dedicated to HCES faculty member Alvin Shields, who died unexpectedly in June 2013. Speakers included Hunter students, faculty and alumni. They included, pictured, Anna Blech, Class of 2014, “Downplaying the Holocaust: Arthur Hays Sulzberger and The New York Times,” and Kevin Cheung, Class of 2014, “Community Service and My Crisis of Identity.” The other Hunter students who spoke were Eliza Connolly, Class of 2014 "What You Think the Story is About: The Importance of a Different Perspective," and Kalia Firester, Class of 2015, "Learning from Parasites to Create Safer Genetically Modified Plants." 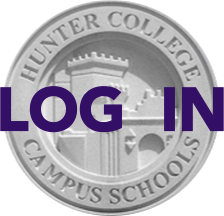 The Hunter Piano Quintet and the The Hunter Senior Jazz Ensemble performed.